The Aqua Sphere Seal XP2 swimming goggles are fitted with tinted style Plexisol® lenses designed to ensure 180-degree peripheral vision when swimming in bright indoor and outdoor conditions. They feature a low profile structure and softeril skirt for superb comfort and fit. The goggles boast a patented Exo-Core frame technology to provide long-lasting durability, whilst the lenses offer an anti-scratch and anti-fog coating to provide added protection and prevent the goggles from steaming up. Furthermore, the goggles provide proper fit adjustment with micrometric strap buckles, as well as complete protection from the sun thanks to UVA and UVB filters. for submitting product information about Aqua Sphere Seal XP2 Swimming Goggles - Tinted Lenses We aim to answer all questions within 2-3 days. 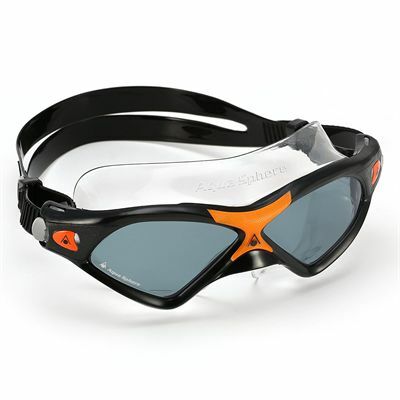 for submitting product information about Aqua Sphere Seal XP2 Swimming Goggles - Tinted Lenses. We aim to answer all questions within 2-3 days. If you provided your name and email address, we will email you as soon as the answer is published. The delivery service let you down. I had to collect from another address. Yodel we’re hopeless. They left the goods at an address with a different name and post code and then we’re unable to retrieve. for submitting product review about Aqua Sphere Seal XP2 Swimming Goggles - Tinted Lenses.